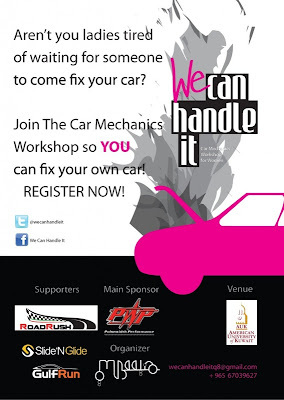 I was surprised when my husband told me about a car mechanic workshop for ladies. Infact we need to hear more and often about them , as you find the streets of Kuwait full with women drivers. To register: Pick up registration form at Student Life, A building at AUK.